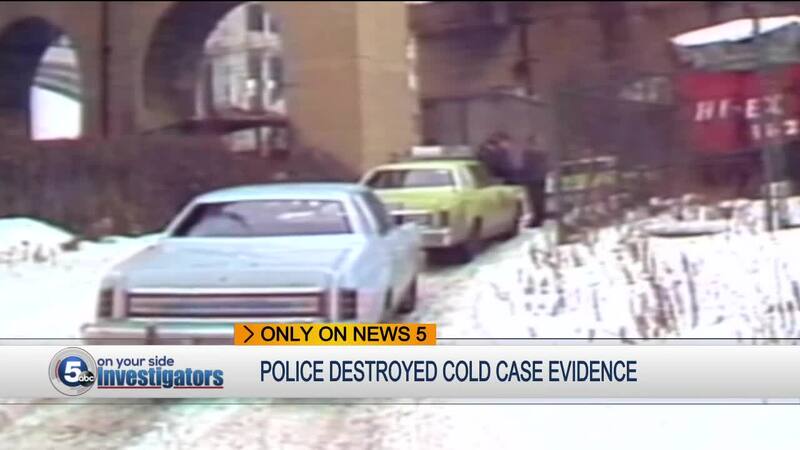 CLEVELAND — The family of Robert Thomas Foster reports they were told by Cleveland police all evidence in their family members 37-year-old unsolved murder case was destroyed some 30 years ago, likely dashing any hopes for closure. Foster's body was found on the East Bank of the Flats back in 1981, his car was found two days earlier, his killer was never arrested. His brother-in-law, Andy Rokakis, said both he and the Foster family were left devastated by the news that all the evidence in the case was simply thrown out. "It's like an old wound that never heals," Rokakis said. "To know that you're that close to getting somewhere, and to resolving this after all of these years, and you can't get there." Rob Slattery, with J.A.B Investigative Services, told News 5 Cleveland Police tried to explain why the evidence in an unsolved murder case was destroyed. "They told the family that it was a common practice in law enforcement across the country back then," Slattery said. "I don't believe that." "But if things like that happen within the Cleveland Police Department, have they corrected it, how many other families and cases has this affected." "The City of Cleveland's got egg on their face, they failed this family. In my eyes, they re-victimized this family by not doing their job." Slattery said the Cleveland Police Cold Case Task Force made a good effort in following up on some new potential leads in the case, over the past few months. But despite that effort, Slattery believes the destruction of evidence was inexcusable. News 5 made multiple attempts to reach the City of Cleveland and Cleveland Police Headquarters for comment on the case, and to get its protocol in the storage of evidence, but so far we've not been given a response.